I told you it was your turn to bring the ruler, you dork! Brompton Road, Kensington, will never look the same again. 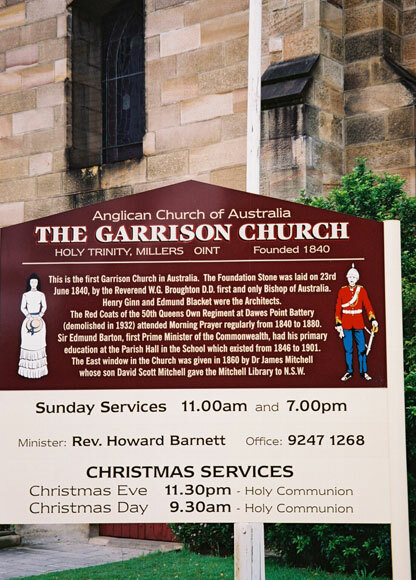 The historic Garrison Church is at the top of Argyle Street, Millers Point. What’s the yellow ball for? 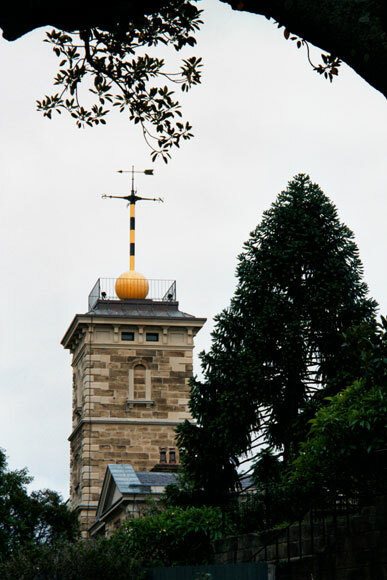 Ask below it at Sydney Observatory. 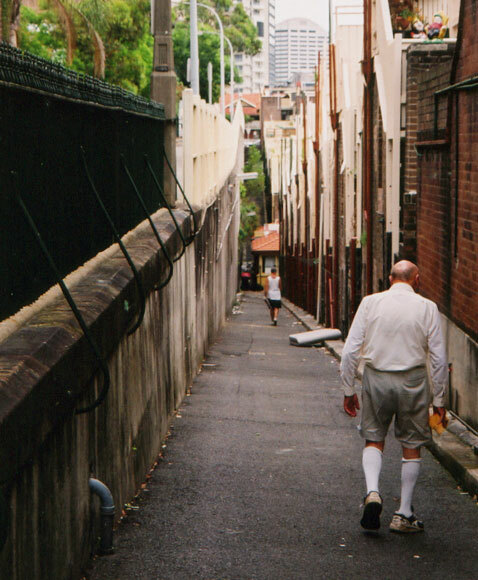 Check out the Millers Point lanes, such as High Lane (just visible top left) and Argyle Lane, which Alan is walking down, for a different look at the city. 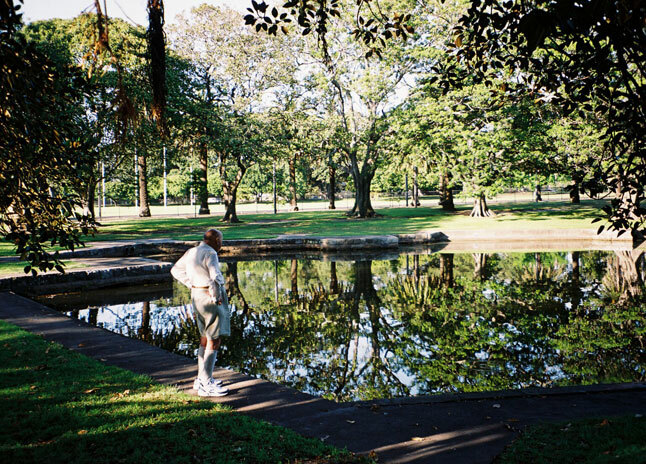 Moore Park is both a suburb with 100 or so houses and a giant park, seen here equally well upside down. 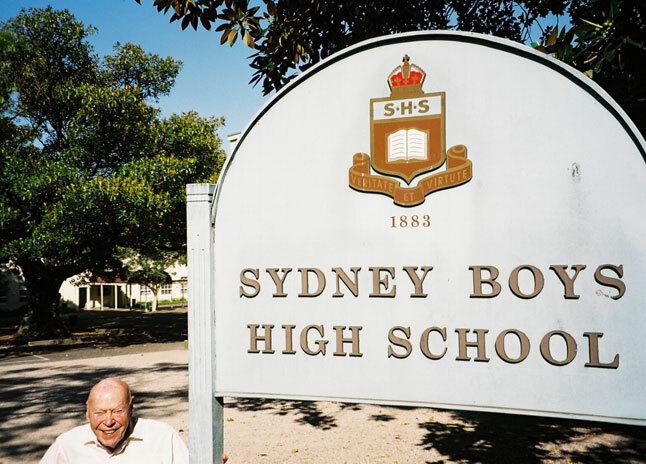 While walking Anzac Parade, Moore Park, Alan detoured into Sydney Boys’ High School, the first time he had been in their grounds since he was a student there 73 years ago. He pointed out the location of the canteen. No mention of the science block, library or anything else educational, just the canteen. 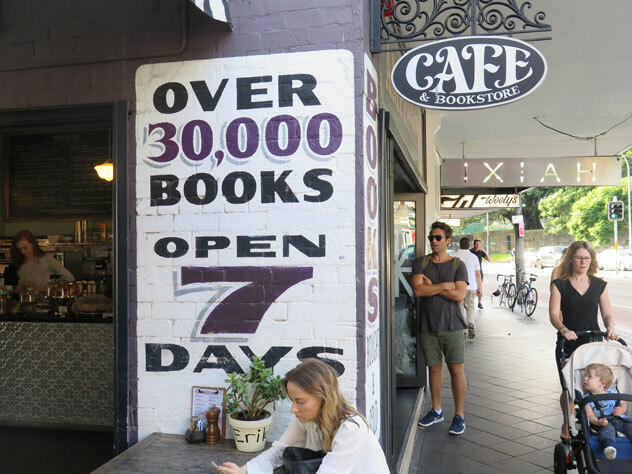 Strange things happen in King Street, Newtown. But there are more. 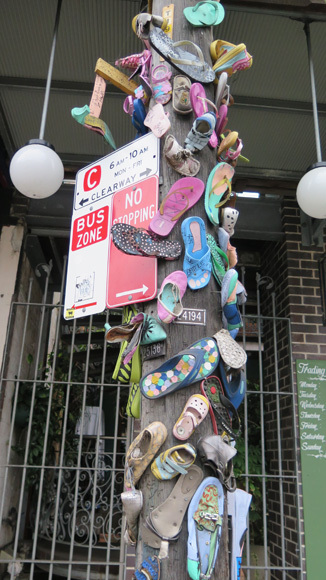 Whose shoes up the whole pole? 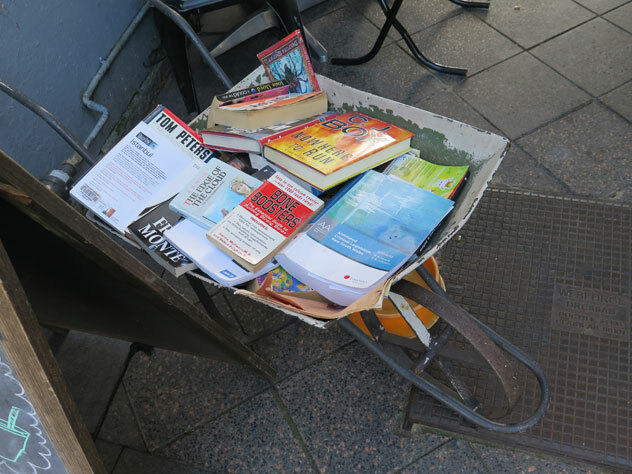 How many barrow loads do you think it will take to dispose of all the books from this place on Oxford Street, Paddington? No, your guess was a bit low. 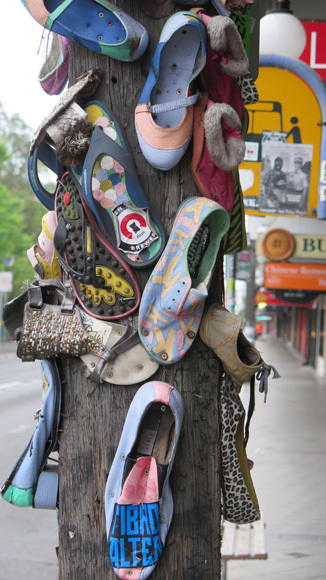 An odd collection - appropriately, these are in Page Street, Pagewood. Pagewood has one of Sydney’s few railway level crossings. 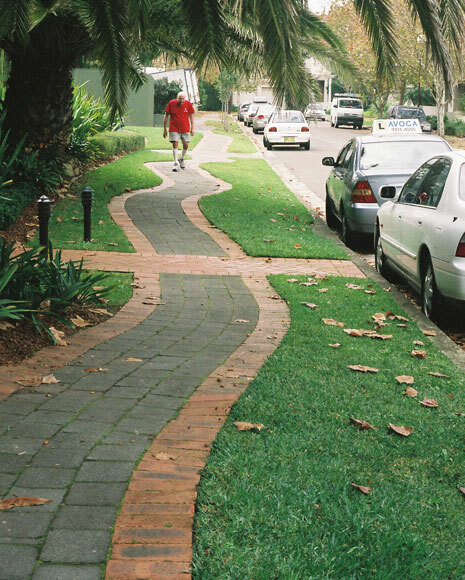 The industrial line to Port Botany splits Banksia Street.